So how fat is she? 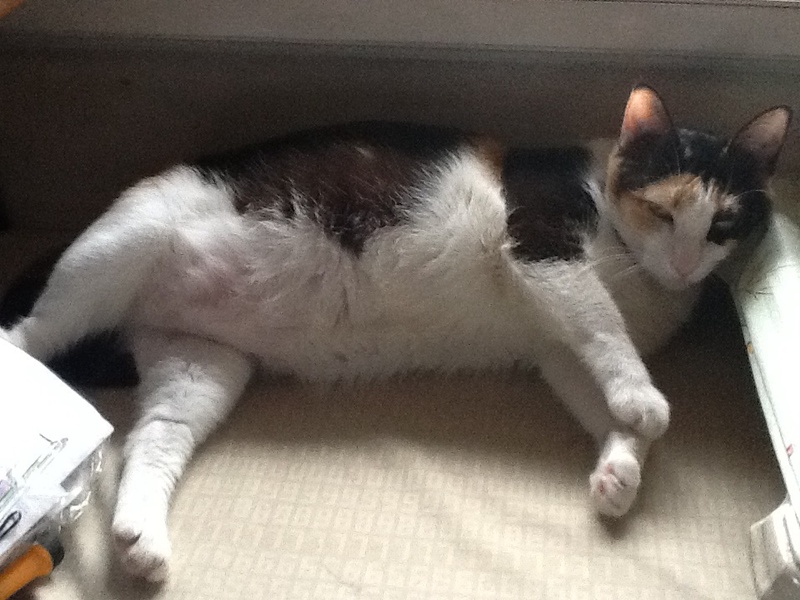 (Just learned that most calico cats are female) She is sooo fat I have to carry her with two hands. 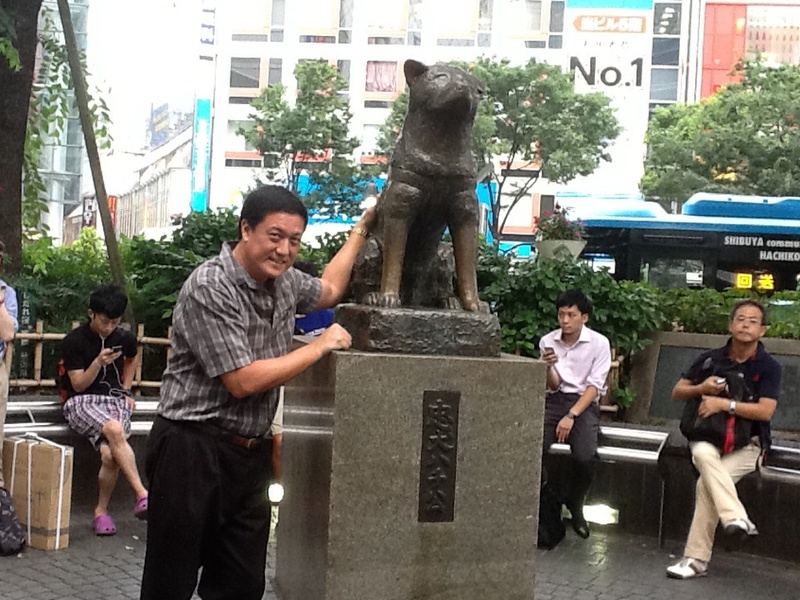 As my wife pointed out to me, he is heavier than our dog! She obviously has to go on a diet but my wife will hear none of it. She eats five times a day and every time I see her eat, I just shake my head. She will send us to the poor house! Ok, not really but multiply this by 30, and . . . well, you get my drift! She used to be my pet peeve but since she doesn’t mark territory on my stuff anymore, we are on good terms. Also I found a new pet peeve and it is a subject in a future blog. My issue with Cali is that she just eats too much. He used to eat only bonito flakes, which is a Japanese salty topping to add flavor to certain food. That’s not a usual form of cat food and it costs about $10 a pack. It’s mind-boggling how a cat can eat something so light yet makes her so heavy! Asking my wife to stop buying bonito flakes is like asking if the Pope is Dominican! Oh well . . . The lowly hair dryer is supposed to be just that…a hair dryer. 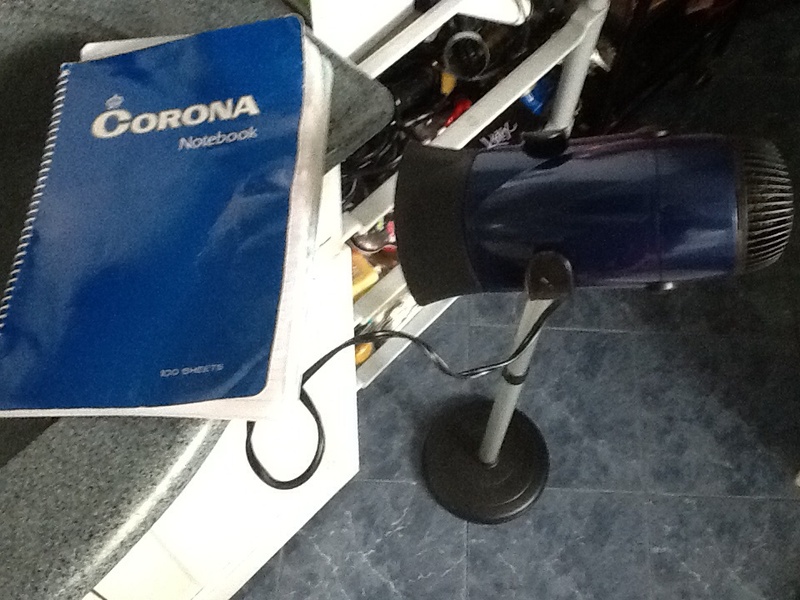 When one buys a hair dryer, normally heating capability and price come into play. In my household, a hair dryer must now have a stand. Why? We are not planning to put up a parlor but when one has 30 cats, some of them tend to pee on our stuff. 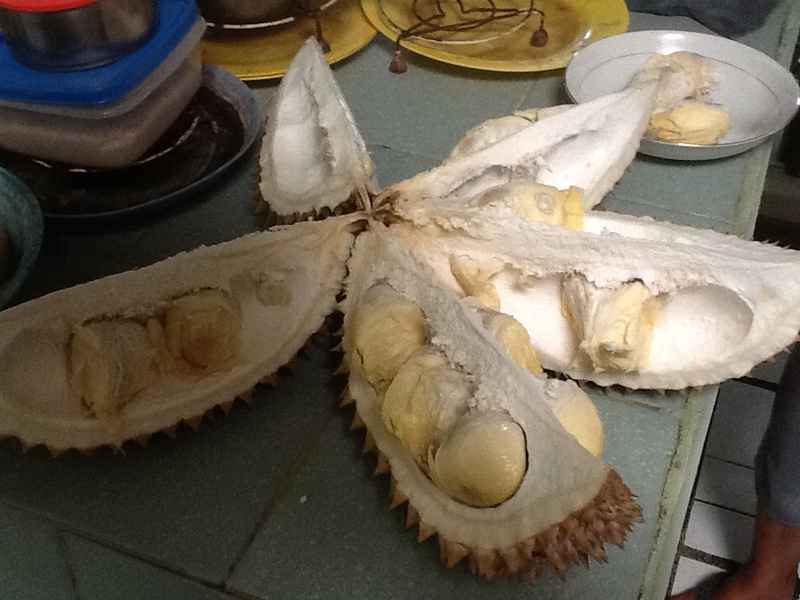 Whenever I return home from Bacolod, I notice that there are traces of cat pee here and there. After three years, I have developed a nose for these scents. My job is to find, show and complain to my lovely wifey. Then my wife just cleans up the mess and goes back to what she was doing. In the beginning, the cats were marking territory. Some would pee on my stuff and my friends said they did this because they were stressed with my presence. Ok…Granted. What I didn’t know was that the cats were also peeing on my wife’s stuff! She didn’t make a fuss tho so I never knew. So how did I know? One day, I just heard the hair dryer in our bathroom but my wife was with me in the bedroom. I asked why there was a dryer doing overtime in the bathroom. She made no big deal out of it. So I went to the bathroom and – lo and behold! – a dryer on a stand was blowing hot air on her stuff that were victimized by her mischievous cats. Where is my iPad?! I need a picture for evidence! 🙂 Hence here is the evidence for all to see. This type of things still happen but now significantly less because we try to put a cover on nearly everything. I can’t lessen the number of cats in our household but I can try to minimize the damage. Woe is me! My consuelo de bobo is that cat lovers say I will go to heaven. Let’s see about that! Yes I accompanied my wife to the Pet Zoo. As you can see I’m not too comfortable around animals. I pet the animal but I’m wary of it doing something to me. Doesn’t look like the goat is enjoying my company. Come to think of it, maybe the goat is more afraid of me than me afraid of him! In my household, I’m the King of the Jungle. All the dogs, cats and birds have to follow me. Wait…my wife doesn’t follow me. Oh, my wife isn’t an animal. Wooh! 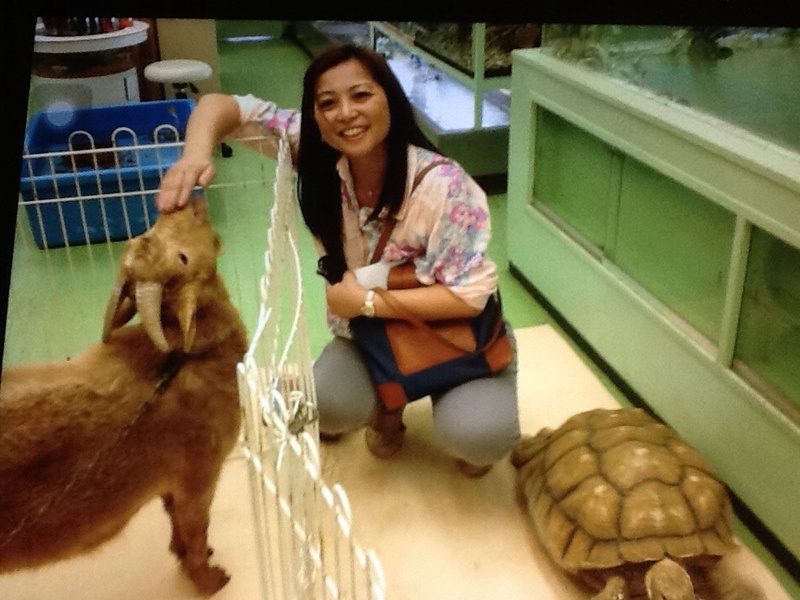 Whenever my wife travels for leisure, she wants to visit places with animals whether it’s a zoo, sanctuary, pet shop, cat cafe or animal shelter. In Japan, a pet store is called a Pet Zoo. I didn’t quite get it at first but… I guess. 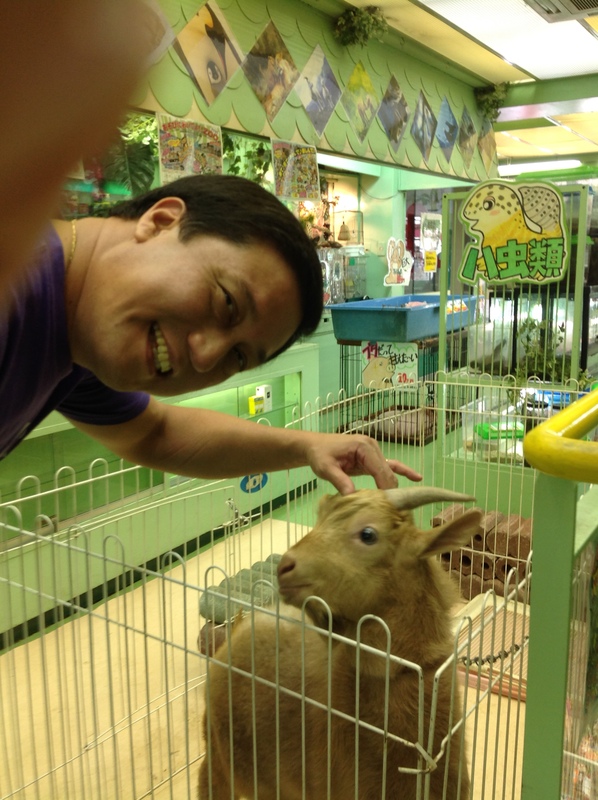 One can pet the animals and purchase assorted animals from dogs to goats (as you can see in this picture). Aw, can’t you see the smile in my wife’s face. She is sooo happy! I can truly say my wife loves animals, that’s why she married an animal like me…ROAR!!! 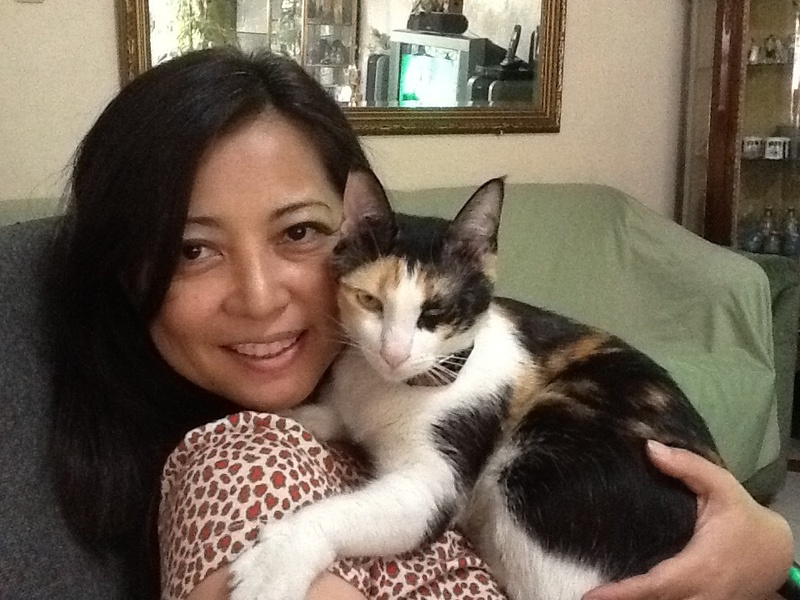 This is my Japanese wife, Kaoru, with her favorite fat cat Cali. I will talk about being married to a Japanese in a future blog. This blog is dedicated to her pet and my pet peeve. Actually, Cali used to be a bad cat (at least to me) since he would mark his territory and pee on my stuff. I would complain to my wife and she would do remedial measures to minimize marking of territory. Little did I know that Cali would pee on her stuff but I never heard about it and she would just clean it without fanfare. Maybe my wife didn’t want to add ammunition to my complaints. Then somehow the marking of territory stopped (thank God), but now he always hangs around my wife especially when I’m around. At night he sleeps on the headboard of my bed. Sometimes I imagine those sharp nails swiping at me in the middle of the night. Good thing that hasn’t happened yet. During meal times, Cali would crawl his way up to my wife’s chest and stay there for fifteen minutes, disabling my wife so she sits there motionless until the cat is content. Ok so this is their way of bonding. But I’m done with my meal and my wife hasn’t even started! I tease my wife about the cat hair going into her lungs but that is a subject in another blog! My last comment on Cali is that he is too fat! He is cute and sweet but he is too fat! He eats all day and according to my wife, is heavier than our dog. He eats more than five times a day and when I carry him I have to use both hands. Now Cali needs to go on a diet but my wife is against it. Hmmm…maybe everyone and everything in our household should go on a diet so there is no excuse. Food for thought.